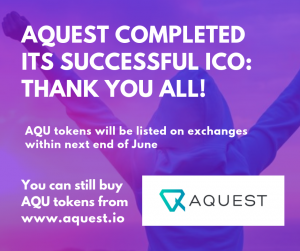 [Nova Gorica, 14 April 2019] – Last Tuesday 9 April aQuest completed its successful ICO. After reaching soft cap during its private sale, on public sale aQuest sold tokens for 3.2 million USD equivalent among digital assets and fiat money. aQuest is a unique decentralised app that pays you for completing a certain task. With aQuest you can create powerful marketing campaigns that focus on paying or rewarding its participants. Participants are required to finish a simple task in order to be eligible for a secure reward payment. On the other hand you as a company can gather important data on your customers and boost your brand recognition. For example, if this quest is an airdrop quest, the signee can obtain valid ERC-20 tokens at the end of the airdrop. aQuest application helps you in building quests with innovative and intuitive cloud based tools. These tools are accessible from all devices. Therefore managing and creating quests is simple and can be done from anywhere. Last, but not least, all quests integrate with Enkronos Apps and help to easily build users pools for creators, thanks to quests that are a great way to obtain this goal while at the same time as your collection of users is building up you can engage the same users with other applications that focus on improving the engagement of users with your brand. 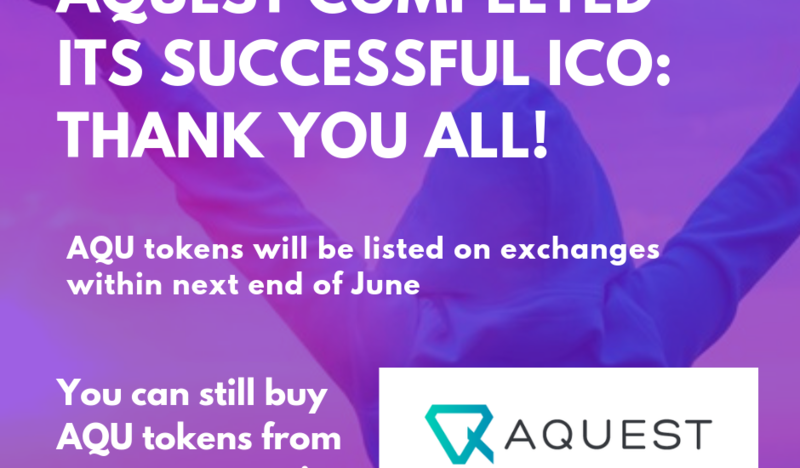 After its ICO, in some weeks AQU Tokens are going to be listed on some important exchanges, in the most suitable moment of the market in order to give AQU token the most appropriate value. The listing should happen within the end of next June. We’ll disclose information about that very soon. In the meantime it is still possible to buy AQU tokens at the fixed ICO price (1 AQU = 0.006 ETH) directly from the website www.aquest.io.